SludgeGuard TF1000 is a broad spectrum blend of natural fibers and additives for absorbing and solidifying oily industrial sludge to a semi-solid consistency. This allows for easy transport from processing facility to disposal facility. SludgeGuard’s non-hazardous characteristic allows it to biodegrade naturally over time. 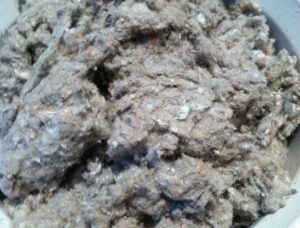 The absorption process is effective for waste streams containing fresh or salt water, oil, chemicals or other additives. Effective for combinations of both water, brine and oil applications. 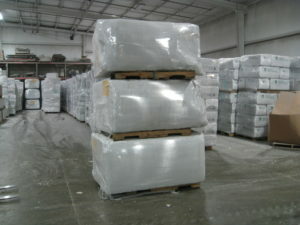 Packaged in compressed bales of 700 to 800 pounds each for efficient shipping. Bales require manual mixing to disperse material throughout liquid sludge. Allow 2-3 hours for complete absorption to take place. Efficiency: cost to solidify one ton of sludge significantly less than sawdust, clay or other methods due to reduced mass for transportation and disposal. Talk to us about custom blended absorbent products.